MANSFIELD, Mass. 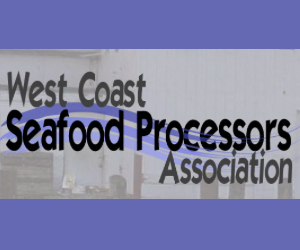 – April 18, 2011 – In response to concerns that the haddock by-catch cap for the midwater trawl herring fleet is too restrictive, given the relative abundance of haddock, the NEFMC ground fish committee voted to raise the cap at its April 18th meeting. On a vote of 8-4, an option was passed that would raise the current by-catch, set at 0.2 percent, by 10 times to 2 percent for the MWT fleet. 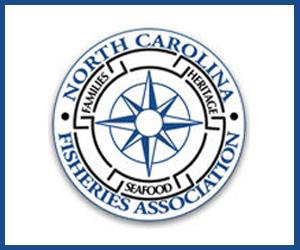 Committee members also discussed the possibility of expediting the NMFS process to promulgate the new cap in time for the summer herring season. The full Council will address this issue at its April 26th meeting. 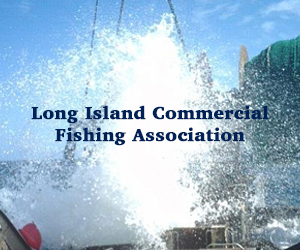 The public is invited to attend the New England Fishery Management Council's April 2011 meeting to be held at the Mystic Hilton Hotel, 20 Coogan Boulevard, Mystic, CT 06355; telephone 860.572.0731. For online access to the meeting, please register by following the directions below. 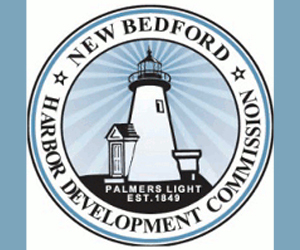 For information about meeting materials and a detailed agenda, consult the Council’s website www.nefmc.org. Also be aware that if you use the phone-in option, your regular phone charges will apply. If you have any questions, feel free to call the Council office at (978-465-0492, ext.10). To Address NOAA-Sponsored, State-Operated Permit Banks This draft of Amendment 17 to the Northeast Multispecies FMP has been approved by the New England Fishery Management Council for the purpose of soliciting comments from the public on the action the Council is considering taking in this amendment. Submitting Comments on Amendment 17: Comments must be received by 5:00 p.m. on May 18, 2011. Written comments by mail: Patricia Kurkul, Regional Administrator National Marine Fisheries Service Northeast Regional Office 55 Great Republic Drive Gloucester, MA 01930 Subject line: “Groundfish Amendment 17 Public Review Comments” Written comments by fax: National Marine Fisheries Service, (978) 281-9135, Subject line: “Groundfish Amendment 17 Public Review Comments”** Written comments by email: Send to GFAmendment17@noaa.gov Subject line: “Groundfish Amendment 17 Public Review Comments” The Council will also accept oral comments during the following meetings: •	April 18, 2011 – Groundfish Oversight Committee Meeting Holiday Inn, 31 Hampshire Street, Mansfield, MA 02048 •	April 28, 2011 – New England Fishery Management Council Meeting Mystic Hilton Hotel, 20 Coogan Boulevard, Mystic, CT 06355 Read the complete draft from NMFS. Please review the attached materials for the NEFMC Groundfish Oversight Committee meeting in Mansfield, MA. Please bring these documents with you to the NEFMC meeting next week as they are part of your Council binder. The New England Fishery Management Council feels compelled to address several statements in the editorial "Fishing aid promises need independent monitoring, too". On behalf of its 18 members, I am writing to express concern about the following paragraph: "… it's essential that any added allocation be funneled to the struggling small, independent boats — not the big-boat business of Maine, or the Cape Cod Hook Fishermen's Association, which have already gotten more than their share through the New England Council's shaky actions in the past." 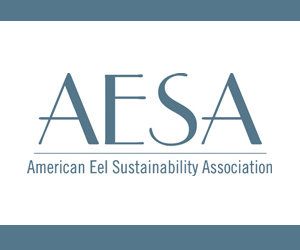 It is a matter of public record that the fish allocations approved for the existing two "sectors," one of which was referred to in the editorial, were based on a different qualification time period than was used for other permit holders who chose to join a newly established "sector." As a result, the existing sectors received about 3.3 percent more of the Georges Bank cod quota than they would have if their allocation was based on the period used for other vessels (1996-2006). Time frames were developed to be inclusive, and most of the fishing industry responses to the council supported the approach. Many believed that including landings over a long period would smooth out the effects of regulatory changes over time. It also meant that the allocation would not necessarily reflect recent fishing activity. Without question, there have been negative consequences for individuals who did not meet the qualification criteria. Importantly, the allocation the two sectors received at that time applied to Georges Bank cod only. It did not involve the other species in the groundfish complex, such as haddock, pollock and several flounder species. Read the entire letter at The Gloucester Times. Draft Amendment 17 to the Northeast Multispecies Fisheries Management Plan is available for review. This amendment relates to the creation and operation of state operated permit banks. There will be a 30-day comment period that begins April 18 and ends May 18, 2011. The Groundfish Committee of the New England Fisheries Management Council will take comments at their meeting on Monday, April 18, 2011. 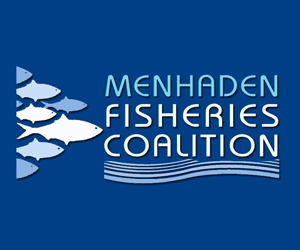 The New England Fisheries Management Council will take final action on the amendment at their June Council meeting, not the April meeting as announced earlier. Read the draft of Amendment 17. Times listed next to the agenda items are estimates and are subject to change. This meeting is physically accessible to people with disabilities. Council member financial disclosure forms are available for examination at the meeting. Although other non-emergency issues not contained in this agenda may come before this Council for discussion, those issues may not be the subjects of formal action during this meeting. Council action will be restricted to those issues specifically listed in this notice and any issues arising after publication of this notice that require emergency action under section 305 (c) of the Magnuson-Stevens Act, provided the public has been notified of the Council's intent to take final action to address the emergency. Documents pertaining to Council actions are available for review prior to a final vote by the Council. Please call (978) 465-0492 for copies or check the Council website at www.nefmc.org. If you are submitting comments for Council consideration at this meeting they must be received at the Council office by 12 p.m. EST on Thursday, April 21, 2011. Notice Issue: April 5, 2011. Conservation Law Foundation reported on its' "CLF Scoop" website and email that Science and Statistical Committee (SSC) of the New England Fisheries Management Council rejected Massachusetts Gov. Deval Patrick's science and economic arguments on New England fisheries that were contained in a report and request to Commerce Secretary Gary Locke late last year after Secretary Locke visited Massachusetts and announced he was prepared to use his emergency powers to raise fishing limits. However, according to two SSC members who contributed to the Governor's report, CLF's assessment of the meeting is "premature, incomplete and inaccurate." The Conservation Law Foundation opposed the Governor's request in a formal letter to the Secretary of Commerce last November. "The SSC did not agree with any of the science-related assertions in the MFI report. In their discussion, they noted a number of places where the conclusions were based on faulty premises or ignored widely recognized issues that the scientists who had developed the original catch limit recommendations had addressed when they set the limits." "They concluded that the stock assessment and catch specification process was fully consistent with best scientific practices, that there was no “double counting” of uncertainty or risk, and that the annual catch limits could not be increased without increasing, in some cases significantly, the risk of meeting the conservation objectives of the New England Council and the federal statute that controls harvest, the Magnuson-Stevens Act." "In their brief economic review, the SSC rejected the analysis and conclusions from the MFI report. Aside from noting that it was questionable to draw economic or social conclusions from a new management plan that had only been in effect for six months, the SSC noted that the report misrepresented $21 million of theoretical losses as actual losses and did not account for the revenues from the numerous other species that groundfishermen pursue in addition to the groundfish species. A number of SSC members also indicated that comparisons to the 2009 fishing year were not proper since the scientists had all concluded that the 2009 catch limits were set significantly too high for many species. The SSC agreed by and large that the economics of the new fishery plan looked positive for the first year, and provided no evidence of an economic crisis." "Mr. Shelley is lobbying the public to agree with his views, and not accurately presenting the results from the meeting. His statements can not be based on the recommendations of the SSC because they are currently being drafted by the SSC. Many of his statements are inaccurate. For example, his statement that 'The SSC agreed by and large that the economics of the new fishery plan looked positive for the first year' is simply not true." "Mr. Shelley’s summary of the SSC’s conclusions is premature, incomplete and inaccurate. The press release jumps the gun, because the SSC’s report is still in process. Although some draft statements were presented, the consensus document is still in development. There was a diversity of expert opinions among SSC members that still need to be reconciled. I trust that Mr. Shelly isn’t involved in producing the SSC report and cannot know the final conclusions or recommendations." "Unfortunately, the draft statements considered at the meeting were mostly defensive, which should have been expected from the terms of reference for the meeting. The terms asked the same committee who made recommendations in 2009 to judge the appropriateness of their own decisions. Despite the narrow-minded and backward-looking terms for the meeting, there was some support for the scientific information in the MFI report, and Mr. Shelly appears to have heard only what he wanted to hear." "The statement that “'the SSC did not agree with any of the science-related assertions in the MFI report” appears to be wishful thinking. The draft statements presented by the SSC at the meeting included some agreement with conclusions in the MFI report; for example further consideration is needed of the risk and management implications of Fmsy proxies, retrospective adjustments and 25% buffers on a stock-by-stock basis. The SSC also discussed more creative solutions to the groundfish problems, such as applying the ‘mixed-stock exemption.’ Experience from the New Zealand catch share system was discussed, in which mixed-stock catches were eventually optimized, … coincidentally, by increasing the catch limits on choke stocks – exactly what the MFI report concluded." "I’m not aware of any "faulty premises" that were identified by the SSC. Although the SSC defended the catch limits because over-precaution was not intended, some SSC members stated that Fmsy proxies were deliberately ‘precautionary,’ and retrospective adjustments may have over-compensated for the problem. Although Mr. Shelly has been touting increased revenues in the groundfish fishery as a measure of success, the SSC draft statements did not agree that 'by and large that the economics of the new fishery plan looked positive for the first year, and provided no evidence of an economic crisis.'" "The MFI partners agree that it is time to move on to improve the management of New England fisheries, but we won’t get far if we’re focused on defending past decisions and rejecting viable solutions." Read the CLF report on the SSC meeting. Read the letter from the CLF to Secretary Locke from last November. 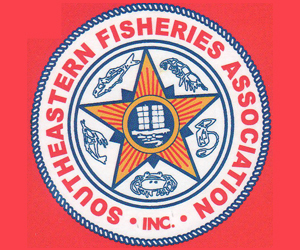 By their nature and charge by the Science and Statistical Committee of the New England Fishery Management Council at its January meeting, the 18 committee members — including 15 Ph.ds — are focused on conflicting theories of how to measure risk in determining the size of the catch to be allowed commercial fishermen out of Gloucester and elsewhere off New England's coasts. But the document assigned for analysis by the committee is a report prepared by the Massachusetts Marine Fisheries Institute for Gov. Patrick. It was invited and sent to Commerce Secretary Gary Locke last November. And it purported to show that Amendment 16 — a package of new laws, hyper-conservative catch limits, and the catch-share management system, which encourages fishermen to buy, sell or trade shares of their assigned catch — had thrown the long-struggling industry into a tailspin and justified emergency secretarial action allowing more fishing and direct economic relief..
"The cumulative economic impacts … all contribute to decreased revenue for a significant portion of the industry, rapid consolidation of fishing businesses, rise in unemployment and reduced infrastructure," the authors wrote. Paul Howard, the council's executive director, has agreed to give the committee wide latitude to explore economic implications of the policy. Howard was lobbied to loosen the reins of the council's limitations by UMass-Dartmouth's Brian Rothschild, a champion of the industry and linchpin for the political and scientific fishing industry sectors. "I did not believe that the terms of reference as originally framed by the council would enable the Science and Statistical Committee to fully inform the council on the critical issues in the governor's report," Rothschild said in an e-mail to the Times. "I suggested to Paul Howard that the TORs be modified to include discussion … of the economic analysis in the governor's report, what is meant by best available science, and views on the extensive difficulties on defining 'risk of overfishing.'" NEW BEDFORD, Mass. – March 30, 2011 – Today, the Science and Statistical Committee (SSC) of the New England Fisheries Management Council will review a report that Massachusetts Governor Deval Patrick submitted to Commerce Secretary Gary Locke last year after the Secretary visited Massachusetts in a high-profile pre-election visit and said he was prepared to use emergency powers to increase fishing allocations and provide financial relief. The plea was rejected, after 63 days, which many in the industry, government, and academia considered an undue delay and an unwarranted slap in the face to New England officials and citizens. The conditions that spurred the report still exist. More than half of New England’s groundfish fleet – 253 boats — remains idle and, with between three and five jobs per vessel, a lot of working families have been hurt. According to the Governor’s report is no scientific justification for this pain to be inflicted on working families. The report, prepared by the Division of Marine Fisheries and the University of Massachusetts Dartmouth School for Marine Science and Technology, uses federal government data and applies scientific statistical analysis to reveal that an additional 14,500 metric tons of ground fish could safely be brought to market without hurting fishing stocks. 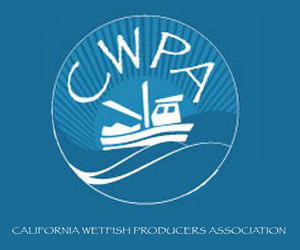 The Commerce Secretary and NOAA Fisheries Administrator Eric Schwaab rejected the Governor’s request saying they could not make changes to allowable catch levels without new scientific data. However, a 2009 request by Governor Patrick for funding to obtain new, independent data was ignored and eventually rejected, leaving the Commonwealth in a catch-22 with no data to present but the Fed’s own. Still, their analysis, using that data, showed that more fish could be safely caught. Massachusetts officials hope that the SSC will agree with the findings in “A Report on Scientific and Economic Information that Supports Increases in Multispecies Groundfish Annual Catch Limits.” Some fishery scientists, including authors of the report, however, are concerned by the “Terms of Reference” (major discussion topics for the SSC meeting) that have been scheduled. · They do not address the socio-economic issues cited in the report. · They miss the opportunity to inform the Council on serious fundamental difficulties assessing uncertainty and risk. Appropriate review by the SSC and subsequent action by the Council would be a step in the right direction to move New England fishery management closer to the intent of Congress. This can only happen with this particular issue if the TORs appropriately span the problem. The TORs should enable and encourage innovation rather than being restrictive and retrogressive. The SSC is a talented group and they have much to offer in reforming the scientific aspects of our fishery management system. Regarding specifics, the TORs 1) do not address the socio-economic issues cited in the report, 2) set “best available science” as a standard, but do not require an explanation of what is meant by “best available science,” 3) seem to misstate the question concerning the choice of the Fx% criterion and the choice of x=40, and 4) miss the opportunity to point out to the Council very serious fundamental difficulties in assessing uncertainty and risk. Regarding the socio-economic issues raised in the report, what is the Council’s opinion, or the opinion of any of its bodies, on the economic issues? A striking feature of any economic analysis of the management system to date is the need to incorporate data on revenues and jobs. Why doesn’t the Council facilitate a sample survey to obtain these data? I have heard it argued that the SSC does not have eligible economists to serve on the SSC, so the SSC cannot consider economics. The SSC has members that are not expert on stock assessment, but these non-experts contribute to stock-assessment decisions anyhow. Why not co-opt someone like Lee Anderson to get involved? Second, the TORs dwell on the requirement to use the best available science. This is the right thing to do, but in a matter as serious as this, all of us have to understand what we mean by “best available science.” I think the guidelines on this subject are not sufficiently specific to guide the Council. Is it as the courts determine, anything the Agency produces? Is it “best available” because it is subject to peer review? Both of these standards are inadequate because they are what logicians call “appeals to authority.” In other words, an assertion is either “true” or “false.” Because the assertion is proclaimed by a federal agency or an expert (i.e., a peer) does not in itself make the assertion true or false. Look at the peer reviewed stock assessment process in its entirety, or the peer reviewed pollock assessment, or the peer reviewed claim that all stocks would become extinct by 2050, just to cite a few examples. What are some of the criteria that can be used to select the “best science” among the alternatives? A simple list would include simplicity and parsimony, explanatory power, adherence to axioms, implementing unwarranted assertions. It goes without saying that there must be a clear and lucid description of the available science, the criteria, and methodology for selecting the best science. Simplicity and Parsimony—It is relatively simple to develop few-parameter estimates of Bmsy and Fmsy in an appropriate non-equilibrium setting. Instead of demonstrably going through this step, as good scientific methodology would require, much more complex models are used involving many parameters. How are the complex approaches justified as being better than the simpler approaches? Explanatory Power—The data need to fit the model. It is pretty clear that the data and models are wildly divergent (e.g., retrospective patterns). The explanatory power is further diminished by a considerable degree by the fact that the sampling theoretic basis of the data that enters the model is not established. Stock assessment analyses are not accompanied by a clear explanation of the sampling properties of shore side sampling, nor of the construction of age length keys. A particular fracturing of explanatory power arises in the adoption of the least known component of fishery theory—stock and recruitment—as the foundation or basis of stock status determinations. Implementing Unwarranted Assertions—A great example of an unwarranted assertion is the assertion that Fx% (with x set equal to 40) is somehow good, and that it is required by the fact that the stock and recruitment curve is not clearly defined. The use of the F40% criterion means that we assert that F40% is somehow better than Fmsy. Speaking of “science,” the criterion is arbitrary. Look at the large range in F generated by the arbitrary choice of a value of M and an arbitrary choice of x. F40% is contrived to be the lowest possible level of F, rather than the more rational average lowest value of F (determined by averaging across “curvatures” of the stock and recruitment relationship). In addition to this, a choice of F40% will result in much bigger rebuilding goals than x=20, 30%, rebuilding goals that may be impossible to meet. Adherence to Axioms—Beverton and Holt demonstrated a long time ago that disconnecting stock and recruitment in a population would lead to instability. Since populations, the way we understand them, are stable, we wouldn’t expect that simulations intended to produce the variance in population abundance at some time in the future would be realistic. Yet this is what is done when projecting populations into the future to predict uncertainty. Regarding TOR 2, I really do not understand the logic behind this TOR. First, I don’t think direct estimates of Fmsy and Bmsy were in fact chosen! Isn’t it a fact that F40% was the chosen criterion? So if Fmsy and Bmsy were the best available science, then why were they not used? Why would one not want to declare specific values for Fmsy and Bmsy and then make a reduction for uncertainty? Why would one want to compute an entirely different criterion (F40%), claim that it is somehow better than the Fmsy, and then take additional discounts from F40% to account for uncertainty? This TOR makes it sound like the SSC computed Fmsy and Bmsy but didn’t like the results, so they contrived another procedure where the results were more consonant with their liking. This may not be what was intended in TOR 2. Regarding TOR 4, the SSC should be put in a position to level with everyone and let them know that we really do not know how to calculate uncertainty and risk, particularly with regard to understanding the bivariate distribution of the chance variables F and the biological reference point. This should draw Council members attention to the great difficulties in assessing uncertainty and risk. All of us are looking forward to learning of the deliberations of the SSC. We all recognize these are hard problems. Our purpose for forwarding this critique is to inform Council members that 1) these are difficult problems, and 2) ensuring “best available science” requires, at the minimum, a lucid explanation of the steps that were taken to sample the data and to decide on an analysis and to justify the use of more complex techniques over simpler techniques. I do not believe that Council members have clear and lucid explanations of the scientific base for the decisions they have to make. I believe that the Council would be better served if the terms of reference were expanded so that the SSC could also consider 1) the socio-economic issues, 2) review the standards for best available science and how these specifically apply to reviewing the report, and 3) leveling with the Council to tell them explicitly what can and cannot be certified with regard to assessing uncertainty and risk. I also think the Council would be better served if TOR 2 was modified to request the thoughts of the SSC directly on F40% versus Fmsy rather than ask them to speculate on who thought what when? It seems as well that the SSC has not allocated sufficient time to address these very important issues. I understand that this is a lengthy and somewhat technical communication. This is warranted by the need to record viewpoints on the subject. I hope you can articulate this communication to the Council.